I’ve been staring at my screen for ten minutes. What I want to do is take a nap. A long, slow, snore-infused trip to la-la-land. On my couch, in the middle of the day, mummified by the twenty-year-old blanket that should probably be burned but I can’t bear to part with. Maybe my old-lady dog would snooze on the floor next to me. Synchronized snoring. Work. I need to work. Not sleep. The pile on my desk is ecclipsing the surface. When I catch sight of it, I start to hyperventilate. Not literally. But I feel my heart jump, the pressure creeping up my spine to curl around my neck. The only way to find a measure of calm is get it all—ALL—done. Not so much. After years of chasing my to-do list, I’ve learned (the hard way) that rest rarely waits on the other side of all my activity. Instead, more to-do’s. More shoulds and oughts and lists of things that demand my attention. It never ends. Never. Sure, I have contracts to fulfill and promises to keep. I have projects that I’ve committed to and friends I promised to help. But the majority of my lists and have-to’s are things I’ve created. It’s a game I play in my head, where I fear disappointing people and failing and letting my family down. But the “letting down” that matters the most isn’t the uncrossed items on my list. It’s when I push myself so hard I’m not able to be plain ‘ole me anymore. Earlier this week, I received Crystal Paine’s new book in the mail: Say Goodbye to Survival Mode. Providential? Yes, I think so. Overcommitting and overworking and overstressing aren’t new to me. I’m a Type-A, first-born achiever. About every 4-6 months I find myself back in this swamped place, where I realize I’ve somehow given away all my margin. The good news is that over all these years of tough lessons, I’ve learned to recognize the warning signs before it turns into an all out breakdown. So here I am again. Taking inventory of my life, deciding what needs to stay and what needs to go. And Crystal Paine is helping me along the way. All that to say, I started this post on TUESDAY. It’s now FRIDAY. You know why? And the world didn’t stop spinning. Friends, I know the powerful draw of “do-it-all” and “be-it-all.” I’ve been sucked into its vortex more times than I can count. But life isn’t on the other side of your list. And making everyone happy isn’t even in the realm of possibility. Instead, live with intentionality. Wisdom. Discernment. Focus. The kind of life you and I dream of is found in knowing both your abilities and your limits, and how to enjoy each day in absolute respect of both. Are you in survival mode? How could Crystal’s new book help you find the life you really want? I think the world is heading in this direction. Too many of us are in the same boat as you. We just want to stop, be still, rest and enjoy what we have. I hope this book can give us some ideas and support in reaching this goal, recharging our batteries, committing less and enjoying more. I agree, Julie. I see a culture shift, and I’m hopeful that means we’re all moving in a better (and healthier) direction. Michele, I feel your pain, friend! I have finally allowed myself to REST and even nap on the weekend afternoons. Our bodies are incredibly made by an awesome God who builds in us His rhythm of life…work and rest, work and rest. It’s when we get out of His rhythm that we stress. And I tend to do that often… forgetting the God who made me and His desire for rhythm in my life. So, yes! I would love a copy of Crystal’s book! Sounds like a great read! Yes, rhythm. Such an important part of the human experience, and one we’ve neglected for too long! Thanks for your insight, Kelli. I would love to read Crystal’s book. Mostly, I feel so tired all the time and overwhelmed. It seems like it should be easier to manage things, but I feel like I’m constantly behind and never ahead of the game — survival mode. From what I’ve heard, Crystal’s book lays out a plan for getting off the hamster wheel and I think that’s just what I need: a plan. The thought of a slower, more manageable pace is delightful. It’s an awful feeling, isn’t it Beth? I’ve been there too many times. I just took a 3 week long nap it seems and I have woken up to GOTTA GET IT DONE. I so need Crystal’s book. I need balance in my life so badly. I really relate to your words, Michele. If I don’t win the give away I will still get this book. I have great admiration for your three week nap! I wish it weren’t so, but the lure of the “race” seems to be always there. Glad we’re in the fight together. Hi Michele. I just saw that book on MH’s site. Hmmm. Coinkydink? I think not. I’m anxious to read it. At the end of 2013 I got sick and realized that my Type A personality was going to have to take a back seat to care of self. Crash and burn was not part of the program. This morning I sit with a to-do list for this weekend that seems insurmountable. I’m tired just looking at it. So some of it will have to go. If there is one thing I learned at the end of last year,it is that God only wants me to do what I am up to (physically). If it’s that important, he will give me more energy. He wants, no, he commands us to take care of our bodies. They are the temple of the Holy Spirit! Dr. Daniel Amen says something about how today’s churches (with their coffee and donuts and pancake breakfasts, etc.) are sending people to heaven early. I’m reading The Daniel Plan he wrote with Rick Warren now. I think you have given us a call to arms, Michele. Let’s do this thing…THIS YEAR! I’m with you. Let’s take a nap. Love this…”Life isn’t on the other of your lists”. I am the queen of to-do lists! I would love a copy of this book! Staring a ministry, homeschooling, wanting to be present right where I am and intentional w/those around me… It’s a hard balance. There are days when I just want to stay home with my kids and shut the works out! Lol. Does the fact that I had to reread the question after I typed two words answer that question? Three amazing children who started their lives in hard places, a husband whose work & commute mean he’s gone close to 60 hours a week, watching a two-year-old full-time, and I have the attention span of a gnat. 😀 I think learning how to focus & prioritize better would be SO helpful so I don’t feel like I’m just spinning my wheels! You are so right. You think that if you can just make it through this hump that tomorrow there will be rest, but tomorrow never seems to come. I remember thinking that when my daughter was born, and here I am, 28 years later, watching my daughter with her first born wishing for the same thing. She is having some major struggles right now, the ones we have all been through and survived. Unfortunately it doesn’t seem like you will at the time. I pray that she manages to find some peace amidst the life struggles. I think this book would help her immensely, she seems to be so stressed lately. Last night she ran out of gas (it was 7 degrees) and the person who was bringing her a gas can….ran out of gas. Sometimes you just have to laugh to keep from crying! Michele, I loved your post this morning! Thank you for the reminder that it’s not all about our to-do lists. As a recovering list-aholic, (…if I do something that’s NOT on the list, I write it ON the list, just so I can cross it off!!! It’s a sickness!!!) God’s making me more and more aware of the people around me and what He’s already doing in their lives. As I see Him working, He’s gently (ahem…and sometimes NOT so gently) reminding me that His work is the most important, and I need to be flexible enough to join Him, take a break, rest, or go a different direction. I’ve learned to compartmentalize well, which helps, but I know I have a long way to go. I’m looking forward to reading Crystal’s book; besides being a great reminder for ME, I’m confident it would point me in the right direction in encouraging those around me. So thankful for you! Blessings!! Thank you for putting words to my life-long struggle. Being a life-long achiever I love a good project, a challenge, a deadline. I try to keep my schedule just full enough, my to-do list just long enough, my family just taken care of enough. My favorite words are yes, of course, not a problem, I’ve got some time tonight after the kids go to bed. I rise to the occasion when someone or something desperately needs the expertise that only I am qualified to give (can you hear the pride & the lie here?). Thankfully, I’m older & wiser now and have learned to fiercely guard my margin, my spiritual time (often the 1st thing to go when under the gun) and my family time. 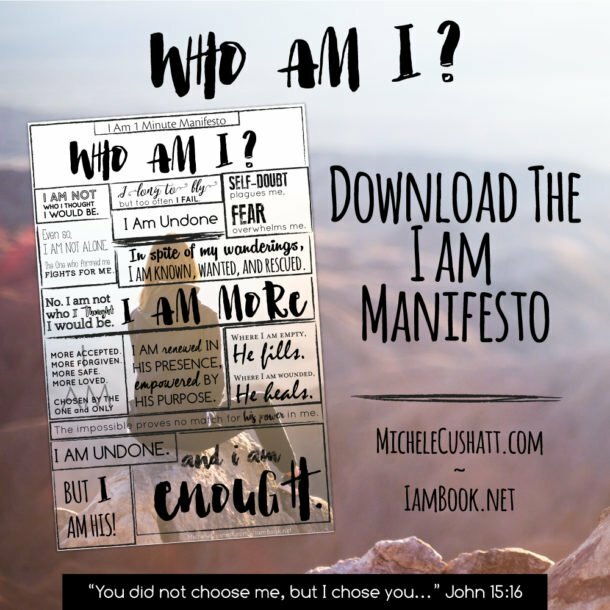 I would love to read Crystal’s book and to pass along her ideas and strategies for intentional living to the younger women that I now mentor. With two teenagers at home, a full-time job, a blog, a book on the way, and lots of commitments, I often feel like I’m in survival mode. I’d love a copy of this book! I will be in survival mode soon – I have 2 boys – 3 years and 20 months old – and baby #3 is coming in May. I’m sure this book would be helpful to me as is Crystal’s blog. Thanks! I feel as if I am just surviving. I am a work- at-home wife, mother of 2. I own a business service company and a program director for another nonprofit. My husband works 13 hour shifts so I am juggling everything on the homefront. I am so overwhelmed at times and my husband and I are concerned that I may breakdown at some point. This book will allow me to find balance in my life. To learn how to prioritize and say no to things, even if it seems worthwhile. As a single mom, barely making it, I have felt in survival mode for the past 11 years. And it’s exhausting. Not knowing if what I am doing is enough for now or if there is something more I should be aspiring to. Right now, we are getting by, biding my time. Would love to have this book to learn strategies. Thank you! I’m hopeful the book would give me insights on how to not feel guilty and depressed when I look at my messy house. You see, I’m pregnant and since I’ve already lost one child to a preterm birth my midwife says I have to rest as much as possible. My husband is trying to keep up, but he works full time. Normally chores and upkeep are my area, now my head is spinning with jumping between wanting to be a “good housewife” and wanting to stay healthy. I have 4 kids the youngest is 4 months old. Between juggling working full time, housework, the relationships with my kids and husband and the other miscellaneous life that happens I often feel like I’m treading water endlessly, no rest in sight. As a new, first time mom, I could say that I’m just a new mode – an adjustment period. I’m working really hard to get into a better routine than my pre-baby days so that our home can be a peaceful and thriving one, not one that is cluttered and disorganized. I want to avoid “survival mode” and establish a good “living mode”. Thank you for the giveaway; I think this book would be great in helping me serve my little family in the best way possible! Crystal’s book could be just what I need. I have been reading reviews on her book and it seems this book is very in sightful for those who feel overwhelmed and exhausted. Let’s talk about exhausted. I have 3 children (I know plenty of people have it worse, but this is my situation) age 4 and twin 7 month olds. My house has not been visitor ready since they came home from the hospital 7 months ago. Due to finances my husband went to work when they were only a week and a half old. Here I was staring at twin newborns and a 4 year old, feeling instantly overwhelmed. The house needed cleaned, laundry done, grocery shopping, my 4 year old needed attention and to know she’s was not replaced. And in there middle of all that I hada two babies! Did I mention I had an unexpected c-section, loss of blood and had a blood transfusion just a week before? I wasn’t even suppose to lift the babies, much less anything else. The cost of childcare was so high I had to quit my job and now I am a stressed stay at home mom, who still can’t get it together. Church volunteer here, dance class there, yes to this, yes to that. Why don’t I say no? I feel guilty! I can’t use my twin babies as an excuse, I don’t work, or do I? The to do list to get my house in order is so long I get overwhelmed and nothing gets done. I think crystals book could help me find out how to juggle, deal with and organize my life. I need sanity, I need help! I am a mother of 4 ages 8,6,4 and 2…..wow is my life overwhelming at times. Okay lets be honest most days are lived in auto pilot! Same old routine! It is what I chose and want but so hard some days to find time for ME!! Something I have not done in 8 years (or more). I find myself looking in the mirror wanting to lose that “Baby” weight I have put on and want GONE….but when? Is this really ever going to happen? will there ever be time for ME again? I want to think YES!!! But for the time being we will enjoy these 4 babies we have and TRY to fit in some ALONE/ME time! 🙂 Because right now going to the bathroom alone is well….a privilege..LOL Just in a days time with The McKee family! As a mom of an almost 8 year old, a 6 1/2 year old with Aspergers, and a 5 month old, I’m always tired. I’m barely surviving, just getting done what absolutely has to be done- like dishes and laundry, caring for the baby and getting the kids to school. I want to fully live – not just barely srape by. Would love this book. I am absolutely existing in the very core of survival mode and I’ve been spinning here for what seems like an eternity. I need this book and change my ways into focused, prepared and peaceful to regain my sanity and reduce my children’s future therapy payments. I would have pre-ordered/ordered and devoured my very own copy already if I weren’t a completely broke, working poor, single mama. PLEASE HELP ME! It would help me to be proactive instead of reactive. In survival mode???? Yes. feeling like you can barely keep your head above water, piles of papers and mail just waitin for your attention but never feeling like you do enough or can do enough . That’s me! I think Crystal’s book would break it all down into pieces as to how I can get things down yet not feel owned by all of it. I feel like this constantly. I am always searching for ways to find balance in my life….this book would help me tremendously. Have my copy, but have someone I know who would love a signed one!!! Great book!! I have been wanting to read this book since it came out! I am a mother to 2 year old and 6.5 month old. Some days (or more days than not) I feel like we just go from day to day. I enjoy being a SAHM but living a two day drive from both sides of our family takes its tole. I would love to get in the ‘groove’, so to speak, of enjoying my girls, cooking meals, taking care of the house and not being exhausted by the end of the day when my husband gets home! Learning from someone who has been there, is sometimes the best way to learn! I have been a stay at home mom for a little over a year now and I still feel like I’m going in circles and never seem to make any progress. I am constantly criticizing myself and feeling like a major failure. I would love a copy of Crystal’s book so that I can learn how to get out of survival mode and be a better mom and wife. I’m definitely just surviving – and not doing very well! With baby #7 on the way – including 2 year old triplets – I’m swamped with the constant demands of caring for a family and maintaining a household. I’ve lost me and I need help finding her again! Congratulations, Lillian! 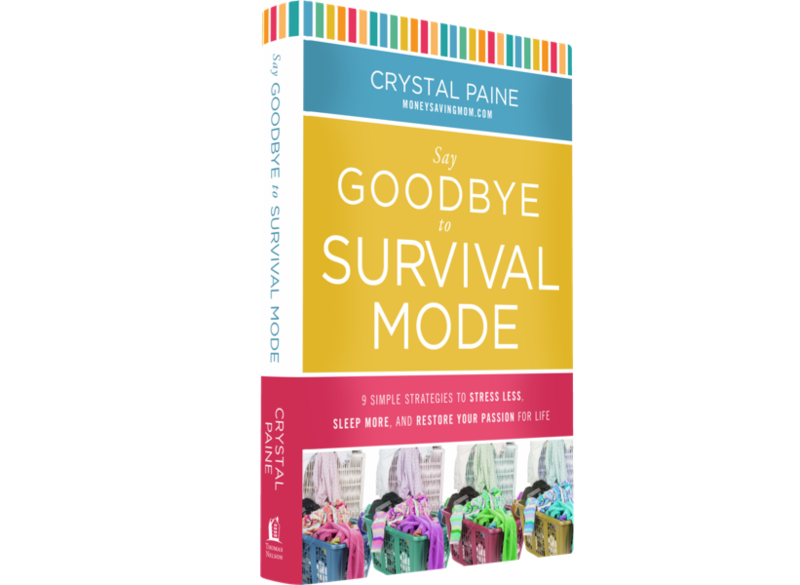 You are a winner of an autographed copy of Crystal Paine’s new book, “Say Goodbye to Survival Mode.” I’m thrilled for you! Please send me an email with your shipping address, and I’ll get this out to your ASAP. Again, congrats! I am a full time working mom with a 3 year old and 1 year old. Although I don’t want to admit I am in survival mode, I probably am. I am excited to read Crystal’s ideas!! I feel as if I am constantly is survival mode keeping up with a 7 and 3 year old and the household as a stay-at-home-mom. Laundry and dishes manage to get done and so does dinner on most nights when it’s not leftovers. I’d like to use Crystal’s strategies to get done with what I need to around the house so that I can spend more quality fun time with my kids. I was in survival mode for many years. Now I’m on the other side of survival mode where I’ve flip flopped and it’s not any better. I’m so worn out from being in survival mode that now I’m in a vegetative state. And I’m still just existing. Not really living. I need to find the happy medium. 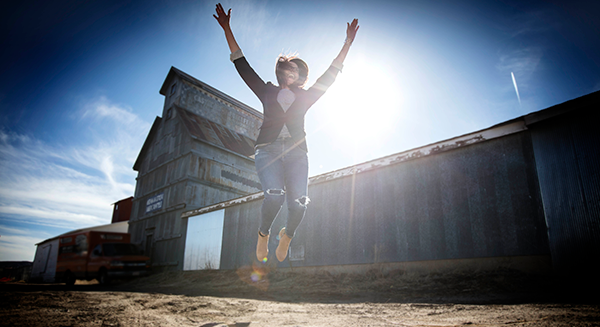 Accomplish what I need to accomplish without wearing myself out, and live finally, rather than just exist! This book can help me determine my priorities. I’ve been living in survival mode for years now. I think her book could help me find me again. The me I left when I moved away for college ten years ago but ended up working/schooling/living in fast forward saying I’ll get to things later. Yes and I have no idea! That’s why I need the book. I’m a SAHM with no direction and little fulfillment in my day. I’m hoping I will get to read this book and find a little inspiration. Some days I’m in survival mode. I have three little kids, which throws wrenches in my grand plans sometimes and reminds me when I have too much on my plate. My name is Krista, and I’m in survival mode. Well, maybe. I know that I was last year, and it sucked. God has been gently, and sometimes boldly, revealing what survival mode looks like. And I don’t like the girl I see in that picture. I don’t want to go back to that place again. Ever–if possible. So, I need help. I need to know what it looks like to live in the gap of knowing my abilities and knowing my limits. Help me!!! And thanks, Michele, for your transparency and sharing this difficult topic with rest of us. Survival Mode is my middle name! I work full time outside the home, have a hubby who also works, coaches, and is a volunteer firefighter- which leaves me to handle all the house stuff and getting the kids to practices. No time to workout…at all. Argh!!! I need a plan and guidance. I am in survival mode! I run an in home daycare, am soon to be remarried, I have a 4 year old daughter and help my mother with her house cleaning, lawn mowing, etc etc… I’m sure this book is an answered prayer! Thank you! Hoping it will help me to be a more fun, giving and patient mama, wife, and friend. I’m in survival mode… have been for quite some time. Plan to get book and see what great info I can get from it. I nap lots…but its cause I’m a nurse who works nights…never get enough sleep. We are just getting OUT of survival mode!!….. would love this book to keep on top of things!! I have one foot in survival mode and one foot in establishing a new normal. In November 2012, I took my eBay hobby and turned it into a full-time business. I also tried to set up a blog on resources, (I used to be a resource coordinator) but realized that was too much at once. In June 0f 2013, my step-dad was diagnosed with esophageal cancer…did I mention my mom and step-dad moved in with us 2 years ago? and I became his full-time caregiver while he was on hospice and passed away in October. My mom is also sick, but lately has been improving, but doesn’t drive. I’m not telling anyone this so I can get a pat on the back. I’m sharing this so people can see what a mess my life could have become this past year. Resting when I had the chance was essential in surviving the chaos, so were friends, a positive attitude and a strong belief in God. Things did not get done perfectly, some things didn’t get done at all-and some things I thought were important before, didn’t even get put on the list. I also kept reminding myself that this was just ONE season in my life. Things change so fast and before you know it parents are gone, children go to college, businesses grow and perspectives change. For everyone going though a season of survival mode…you can do it! SO need this book right now in my life! Survival? I don’t know. Subsisting seems more like it. It’s not that I have so many things to do, even with five children; it’s more like I don’t have the motivation to manage my time well enough to do what has to be done AND have time to enjoy my family and my life. I feel like I have to choose one over the other, and then I get stymied trying to decide which one to choose, and ultimately choose nothing at all. I think Crystal’s book would help put things in perspective and maybe give me a fresh focus and some tools to get my days in order, so I can be productive and feel fulfilled, too. Yes, too often I’m in survival mode. 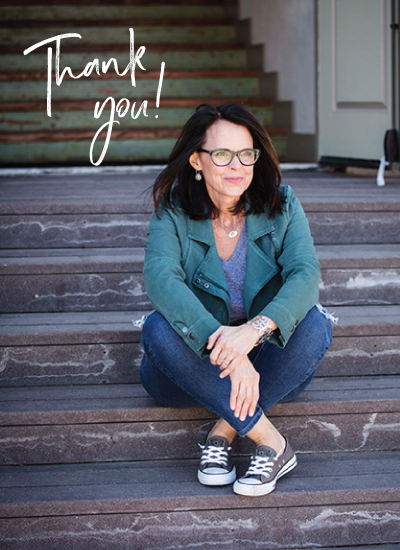 As a mom of twins with autism still at home, 7 granddaughters, my son’s wedding in April, pastor’s wife, mother-in-law with Alzheimer’s living at home, a sick child (going on month 4), full-time college student and author, my margins are all written in right now. It makes me want to shut down sometimes and do nothing at all. I need this book! (I’m also a type-A, first-born overachiever…) Tonight I’ve promised to put the kids and Mama to bed early and watch a movie with my husband. There are things to get done, but thanks for the reminder there will always be more to do. Thanks for this post and giveaway! Yes yes yes! Trying to make time for me…. For rest! I would love to read this! This is so me. Definitely in survival mode. I have always wanted to give my kids the best experiences in their childhood, whether it’s on our family farm or school activities, and the list could go on and on. I am a wife of a farmer, mother of three, fulltime teachers aide, varsity basketball coach, 4H Club leader, treasurer of 2 different community organizations, as well as owner of my own business. I have got to learn to tell people I can’t take on anymore. I am definitely looking for ways to simplify my life and to learn not to feel guilty about not doing all the things other people won’t step up to do. I am a team player in all aspects of life. Together we can do it all and last time I checked there wasn’t an I in team. So I shouldn’t feel bad if sometimes things don’t happen the way they should but when I see a child disappointed, whether at school or at home, I can’t seem to say no. Help me please. I need some help with having some direction in my days. I often get lost in all of the things that need to get done and my kids needing my attention. This post sounds like I could’ve written it- except I haven’t figured out how to live in the moment. I just know that I need to. Those biannual breakdowns turned into quarterly and then monthly to the point where I could break at any given moment – including literally crying over spilled milk (because I didn’t have time to deal with it). I totally have know idea where “I” went. I turned into wife, mom, coach, teacher, nurse, cleaner, organizer, event planner, and on and on. After all, there would be no Christmas or birthdays if I didn’t do it and of course, I’m an overachiever, so everything has to be perfect- according to my standards. I would never have time to even scroll through Facebook (where I came across the link to this) but I am sitting on the couch deliberating taking a nap or preparing dinner for tonight AND tomorrow because we have a gymnastics competition, figure skating and hockey to fit in tomorrow. Even though I have taken the stress leave from work, I still can’t will myself to complete the to do lists. And like the author, feel that somehow, once the list is done, I will feel better knowing full well that it never has before. Ugh! I thought you were describing ME with your blog post! I am also a Type-A first-born achiever and I also ignore my body’s signals! In fact, 2 years ago this month I actually did hyperventilate, had an anxiety attack and was taken to the ER by ambulance from work! Yep, that taught me a lesson! I blog about my son with special needs at http://www.notjustanyone.org and having a child with special needs has taught me to take better care of myself so I can take great care of him! So, yes, I am often in survival mode and her book would be a blessing to me! I’m trying to implement the suggestions she has posted from the book but I would like to read the whole thing. I’m trying to get enough swagbucks to get it. I’m getting ready to get married to a wonderful man that has 2 children, I already am having anxiety over all my “should be’s and should do’s before we even move in together , and are married. I want to be a great role model for them, he has been a single dad, with full custody. How am I to fulfill all the new roles I am taking on, and still be the woman he fell in love with, and not feel like I’m blowing it by letting him and his children, soon to be my step children down. I see this book from all that excerpts I’ve read, as my “how to” book. Her book would hopefully bring more peace to my family: 4 kids, husband starting own business- little/no income, and I am a teacher. It’s a misconception that teachers are done once students leave. I seem to never have time to get it all done. I suffer from migraines. I am definitely in survival mode! I have four children (ages 9, 4, 2, and 11 months). My husband and I own a small business that barely pays the bills. I’m never caught up on laundry or other household chores. The baby still isn’t sleeping through the night, but I’m too exhausted to focus on sleep training. We are in debt up to our eyeballs, but I don’t have the energy to find another source of income. My four children have the flu and my brother-in-law had a massive heart attack on Tuesday. Yes, I’m in survival mode!! I am in extreme survival mode. I have a chronic illness and live in pain. Spend a lot of time exhausted and then when I feel somewhat better, I think I have to get it ALL DONE. I would love to read this book to help me “say goodbye to survival mode”. I go in and out of survival mode (usually driving myself in and having to be pulled out). I am likely headed there again as I’ve just received my family day care license and have a baby due in 11 weeks. With a toddler already, I need to be much more strategic with time and energy before the next little one arrives on the scene! 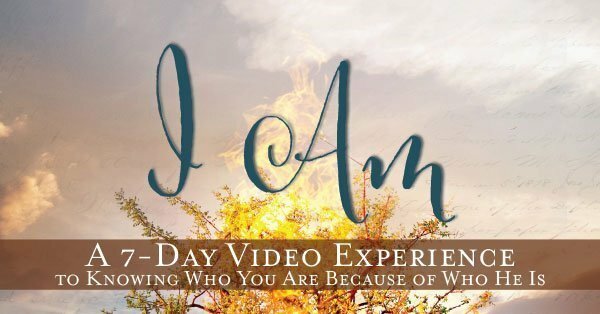 I am I. Survival mode…. All the time. Kids. Husband. Other family and friends. House. Meals. Kids. Dogs. Dirty dishes, laundry. Same story as every other mom. I never finish the day with… That’s every thing and pass blissfully into restful sleep. NEVER. At 1:42 in the am I’m writing this after failing to fall asleep and going to the computer to finish up something’s only to see this post….now, that’s it in my nutshell. I am definitely in survival mode. I often go through the day on the notion that ” life is on the other side of my to do list.” I live in the tension of keeping life going for my family by accomplishing my to do list and feeling guilty about not spending the time I should with them along the way. I would love to read her book and see what she suggests as an alternative to this because this is not working. Michele, I believe that even as an empty nester, I get overwhelmed. This is a fact of life today, but I am trying to learn to take better care of myself, exercise and eat better. I need to slow down more, but often just keep trudging along. I think the book would be a great read. I would love to read your book!!! I could use it now! I am definitely living in survival mode! My husband and I have moved into the basement of my parents home so that they can remain in their home. My mother has end stage lung disease and is blind. She is bed bound in the living room so that we can be with her. My father has prostate disease and Parkinsons which is diminishing his brilliant mind every day. I work full time and and am working towards achieving a goal of being fit and healthy. So far I have lost over 100# and have about 40 more to go. The stress of caregiving and selling my home etc has put me into survival mode big time. I keep trusting Gods promise that he has a plan! Wow, Michele once again I find myself amazed and the parallels of my life with what you share in your writings. This past years events have often left me lost and wandering and so underneath life that I feel some days I will never find my way back. What I find now is not only in your writing but in beginning to read Crystal’s book, great encouragement to keep on putting one foot in front of the other and to keep moving in whatever it is God lays out for the day ahead. To keep the view that though life continue to be difficult at best, I can overcome the overwhelmingness of it, and between the glory and gory find that place of peace and rest in His presence, continued hope in His best. Life is what it is and I have a choice what I will do with it. So here’s to a year of living life fully embraced in His plan and purpose, being who He’s made me to be and hopefully in all of it bringing and giving glory to Him alone. Thanks once again for hitting it full on. We have to take care of us, no one else will do it for us, and we can’t do well if we don’t first “be” well! Love your heart! Realized this last week I’ve got to create some margin in my life. Starting this new ministry, I feel like I have to say “yes” to everyone right now. But I also have to find the time to be creative, write, work, etc. We do this to ourselves and it’s so easy to do. We sign the kids up for everything, say yes to friends and family and never have down time. I would love to read Crystal’s journey. Thanks! With being an in-home aid to my elderly mother, work from home, study from home, blog, am in charge of our families finances, in the process of losing weight and trying to start a family, at thrity-one, I am constantly in survival mode! I believe Crystal’s new book help me find the life you really want by helping me to stay focused and plan my life ahead.